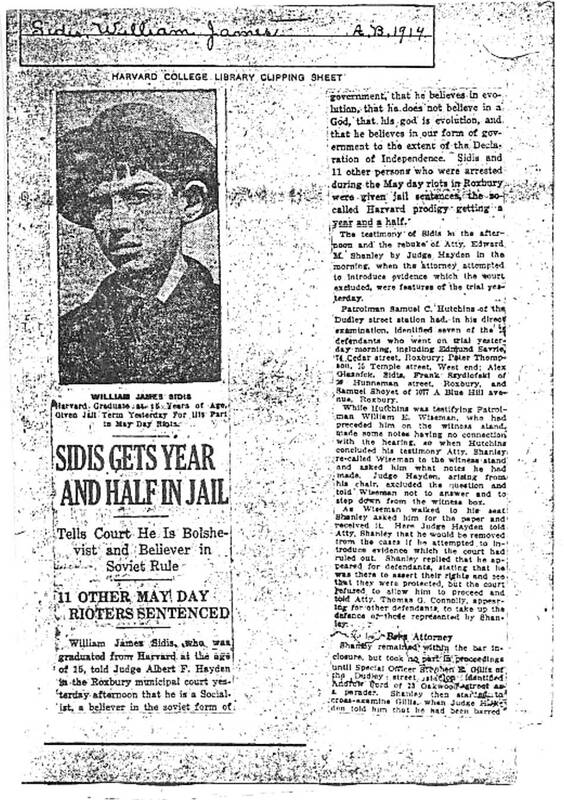 William James Sidis was a famous child prodigy (no, it doesn’t mean he used the internet service provider as a kid). His childhood accomplishments are legendary – he passed Harvard Medical School anatomy exam at age seven and MIT entrance exam at 8. 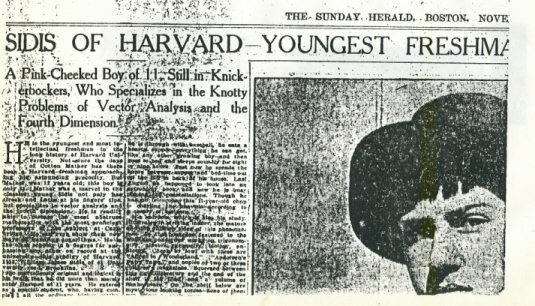 Harvard made him wait 2 years for admittance because he was only 9 – he enrolled at Harvard at 11. The link has been added to the site links under ‘ima nerdy birdy’. Or, if you prefer an audio introduction to Sidis’ life, The Memory Palace has an excellent podcast, “six scenes from the life of william james sidis”. “‘Intellectualism’ is the belief that our mind comes upon a world complete in itself, and has the duty of ascertaining its contents; but has no power of re-determining its character, for that is already given. “Among intellectualists two parties may be distinguished. Rationalizing intellectualists lay stress on deductive and ‘dialectic’ arguments, making large use of abstract concepts and pure logic (Hegel, Bradley, Taylor, Royce). Empiricist intellectualists are more ‘scientific,’ and think that the character of the world must be sought in our sensible experiences, and found in hypotheses based exclusively thereon (Clifford, Pearson). -William James, namesake of William James Sidis (1842-1910), from “Some Problems of Philosophy: A Beginning of an Introduction to Philosophy” – The quote above is NOT from Sidis, but can be found through the link provided. probably not a good idea to tell the court that "evolution is my God"
2nd pic from sidis.net. That website is chock full of wonderful Sidis’ work and is also added to the blogroll. Read “notes on the collection of transfers”(Sidis 1926) in its entirety, then let me know if you still want to be a genius. the early hours in the break of day, because i like to learn more and more. What race is Charlize Theron?